For men who choose a clean shave look, it’s important that it be done right! Men typically use either disposable razors or refillable razors. Disposable razors are good for couple of shaves max and are literally thrown away then. For refillable razors, one buys the handle once, and gets 15 shaves out of each blade. The amazing part is that the last shave is as sharp as the first one! However, as they get older, start working, and becoming more ambitious, their appearance matters more to them, and to others. But while they might start spending a bit more time & money to take care of their skin, hair, etc., razors aren’t new for them, so they buy razors on “auto-pilot.” This means they go to the same shelf in-store, buy the same product, for the same low price as they always have - without thinking much about the options. 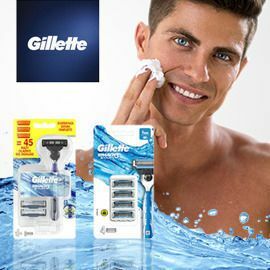 Gillette, the leader in men’s razors, both disposable & refillable, is looking for a creative idea to help nudge Millennial Polish men to get the better shave, and hence the better razor they deserve, without spending too much! Participate before October, 31st 23:59 UTC!